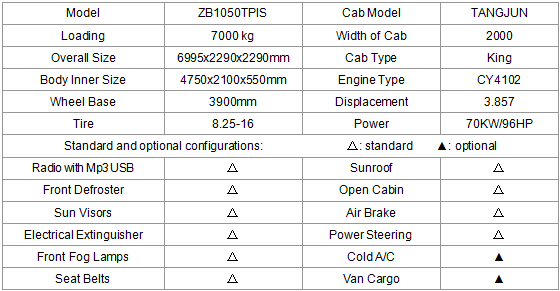 With a transmission to increase and reduce the speed, it is easy and convenient to operate. With a power steering system, it can automatically adjust the pressure when the steering reaches the limit to protect system parts and components and prolong its service life. 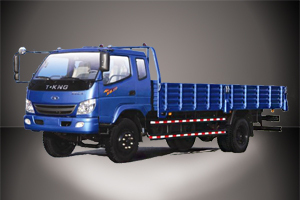 T-KING ZB1050TPIS Light Truck (Diesel Engine) has both the long-distance transport function of platform trucks and the self-discharging function of dump trucks.